One of the main components of a comprehensive insurance program for any business, and especially contracting operations, begins with Commercial General Liability (CGL) insurance. This type of policy generally provides coverage in the event of bodily injury and/or property damage liability claims arising out of premises or products liability, and one’s ongoing or completed operations exposures. While this type of policy is named to infer that it provides very broad (general) coverage, it doesn’t cover everything and, often, particularly when written with Excess/ Surplus (E&S) lines insurers, can potentially include materially damaging exclusions and coverage limitations. E&S insurers typically cover difficult or high-risk exposures or industries that the standard market generally shies away from. Exclusions and endorsements typically found in a CGL policy can potentially exclude or limit coverage in certain geographic areas, for specific types of projects, products or services, or for acts committed by certain individuals — often to the dismay of unsuspecting insureds who may rely on their insurance broker to secure proper coverage to fit their specific operations. It is crucial, therefore, that builders, developers and contractors secure their Commercial General Liability insurance through an insurance broker with extensive experience in the construction insurance industry. An experienced eye is required to navigate the ins and outs of the exclusions and coverage limitations that may be included in a CGL policy to discover and address any potential coverage gaps. General Liability insurers may sometimes wish to exclude or limit coverage for work performed in certain states or jurisdictions, for various reasons. When this is the case, they will do so by adding a “Designated States Exclusion,” or “Designated Work Exclusion” specifying the locations in which they do not seek to provide coverage. For example, many construction insurers seek to exclude coverage in the State of New York due to certain local laws/statutes that create an onerous claims environment. It is essential that a policy review identifies the presence of a Designated States/Operations/Work Exclusion Endorsement and the specific areas for which it applies, if included. If you perform work on any construction projects in a specific area, such as in New York, it’s imperative that this endorsement be removed or modified to provide coverage, even if at a higher rate. An insurance company may choose to limit or exclude coverage for certain residential construction projects, including (but not limited to) condominiums, apartments, single-family homes, and/or tract housing because of the perception of greater risk exposures involved (i.e. the greater likelihood and/or severity of claims). The exclusion may include any work done in connection with the pre-construction, construction, post-construction, reconstruction, exterior remodeling, or repairs of those buildings, while other policy endorsements may specify limited coverage for a maximum annual number of new starts for home builders or a maximum number of condominium units, let’s say, in a given project. Oftentimes, commercial contractors can access lower rates by allowing insurers to exclude residential work (or certain types of residential work) – so it is not always damaging to have an exclusion of this nature on one’s policy. That said, it is important to be aware of the presence of any such exclusion, and to ensure that coverage limitations are present with respect to operations relevant to the insured’s business. Be sure to discuss your specific projects with your broker, including whether you work on residential projects such as condos and apartments (or any other type of “habitational” property), to either remove this exclusion or modify it, depending on your activities. Many insurers include a subsidence/earth movement exclusion in the CGL policy, which stipulates that coverage for bodily injury or property damage liability arising from “subsidence of land or earth movement,” including “landslides, mudflow, earth sinking, earth rising, or earth shifting,” will not be covered. This is a big deal, obviously, for most contractors (most notably excavating and/or site development contractors, underground utility contractors, general contractors, etc.) whose work more often than not involves some type of earth movement. It is important to think of the implications of how this exclusion can impact coverage; any Bodily Injury or Property Damage claims resulting from any type of earth movement whatsoever could potentially trigger this exclusion, resulting in no coverage. This is a unfortunately a commonplace exclusion that many Excess/Surplus Lines underwriters will feature on a policy offering, and must often be specifically removed from a quote or issued policy. It is very important to ensure that your coverage is with an insurance carrier that provides coverage for subsidence of land/earth movement or ask that this exclusion be eliminated. Typically, a General Liability policy should respond to eligible Bodily Injury claims brought by anyone other than an insured’s employees. That said, certain construction insurers (again, usually in the Excess/Surplus lines marketplace) may seek to exclude coverage for employees of subcontractors or independent contractors; this is done by adding an exclusion for “Injury to Contractors or Subcontractors and Their Workers,” or something to that effect. While an injured employee of a subcontractor or independent contractor should theoretically be covered by that subcontractor’s Workers’ Compensation policy, that does not preclude them from bringing a Bodily Injury suit against other parties involved in the construction project other than their direct employer. As such, it is very important that this exclusion be removed when possible to avoid uncovered claims associated with this exposure. Certificates of Insurance with limits of liability equal to or greater than the limits of insurance provided by the General Liability policy (usually $1M Per Occurrence, $2M Aggregate) must be obtained from all subcontractors prior to commencement of any work. The carrier listed on the subcontractor’s COI must be rated at least A- VII by A.M. Best. The insured must obtain written hold-harmless or indemnification agreements from subcontractors, indemnifying the insured and the project owner against all losses resulting from work performed by the subcontractors. The subcontractor must name the insured as “Additional Insured” on all General Liability policies provided by the subcontractor. Again, this type of endorsement is not typically present in all General Liability policies, but is commonplace in certain Excess/Surplus lines markets. 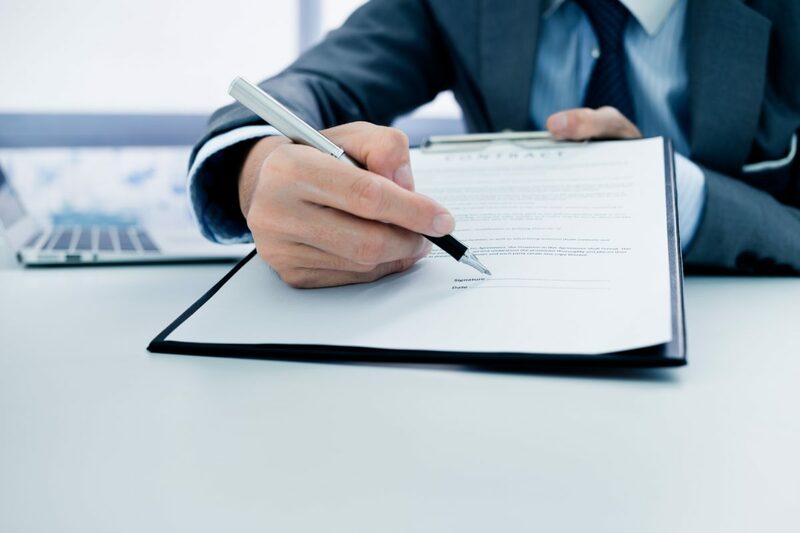 It is very important to review General Liability coverage with one’s broker to ensure that this endorsement is not present, or if it is present that the terms and conditions are clearly understood, and that actions are taken to comply with their terms to ensure the integrity of coverage. Some CGL policy terms may carry certain non-standard exclusions that limit coverage to respond to only specifically defined operations, rather than provide broad coverage for the business activities. These exclusions eliminate coverage for all business operations not delineated by specific classification codes in the policy. Standard policy language will read similar to, “coverage under this policy is specifically limited to those classification codes listed in the policy. No coverage is provided for any classification code or operation performed by the Named Insured not specifically listed in the Declarations of the policy,” or something to that effect. Obviously, having an exclusionary endorsement like this on one’s policy is not desirable as compared to having a broad General Liability policy without any exclusions or limitations for certain types of operations, which is customary. When a limiting endorsement of this nature is present in a General Liability policy, it is very important to either seek its removal altogether, or to make sure that everyone involved is aware of and accepting of the language (i.e. that it does not impact coverage for any of the insured’s actual or possible operations). While this is by no means an exhaustive list of the potential exclusions and endorsements in a contractor’s Commercial General Liability policy, it underscores the value of having a broker with expertise in the construction insurance sector to review potential pitfalls with the ability to remedy them. Working with a knowledgeable broker who is familiar with both one’s region and the construction industry will help uncover and address policy gaps as well as help set a contractor up for success far into the future. Our deep construction industry experience at NorthStar Insurance Services enables us to help our clients secure comprehensive insurance that addresses their risk profiles. We welcome the opportunity to review your Commercial General Liability insurance, its policy terms and language, as well as your other coverages to assess whether you are properly protected. For a consultation, please call NorthStar’s office at (800) 301-1944 to speak with a member of our team. Commercial General Liability Insurance CGL, Commercial general liability insurance, Construction industry, Exclusions permalink. Ordinance or Law Coverage: Why Is It So Important?